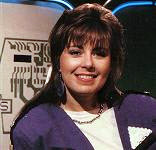 First Class was dubbed “The Video Quiz” by it’s host Debbie Greenwood, which was supposed to reflect the use of videogames as part of the proceedings. Two teams of three kids each representing their respective schools (so they were normally forced to wear their school uniforms), competed against each other in various rounds including playing the afore mentioned videogames, and also more standard quiz fair such as general knowledge or music rounds. To add to the technology vibe of the show, the good old BBC Micro was used to provide the on screen scores and also one of the rounds, Word of Mouth, which was a variation on the game Hangman, where teams had to guess a word (normally something like the name of a country) by choosing letters. The round took it’s name from the fact that the letters appeared inside a robots mouth. Whilst never actually seen, the computer was given the name Eugene by Ms. Greenwood, apparently in reference to the name of the chap who programmed the BBC Micro for the show. The BBC Micro also got wheeled out as the prize of the show, as the ultimate winning team were awarded one of the computers as their prize (Game show prizes were pretty cheap back then, weren’t they?). This prize was reserved for the final champions of the show, as the teams scores were entered on a league table and the top teams came back to compete again at the end of the series. With the technical innovation that was the video recorder marching into our homes in the Eighties, there was a section of society that were incredibly wary of what this technology allowed people to watch in their own homes. The phrase “video nasty” was born, and was applied to films which were available on video but had dubious content (e.g. excessive violence). In 1987, this same section of society came down hard on what could perhaps be dubbed a “television nasty”, although in truth this is really quite far from the truth. 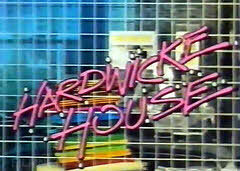 The show in question was Hardwicke House, an ITV sitcom which caused so many complaints to be made from viewers that it only aired two episodes before being pulled from the TV schedules, and this despite an entire series consisting of an hour long pilot episode and six regular half hour episodes had already been filmed. Even more surprising is that TV Times magazine, then the only way of finding out what programmes were going to be shown on ITV, had put a lot of emphasis on this show, with it being on the cover and having a feature inside for the week the show went on air. The show itself was about a rather dysfunctional school, both in terms of the pupils attending it and the staff who taught at it. There was a large cast, the most famous of which was Roy Kinear, one of the UK’s great comic actors. Also featuring as regulars were Pam Ferris (later Ma Larkin in The Darling Buds of May) and Duncan Preston (now on Emmerdale, but who has been in a host of shows including many involving comedienne Victoria Wood). One of the unseen episodes even featured Rik Mayall and Adrian Edmondson as a couple of ex-pupils who had just been released (escaped?) from borstal. With the news that writer John Sullivan passed away on April 23rd, I thought I would today look at his most famous piece of work, Only Fools and Horses. 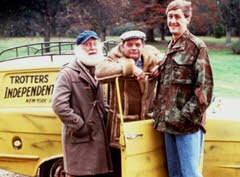 First airing in 1981, Only Fools And Horses probably needs no introduction. Charting the misadventures of “entrepreneur” Derek “Del Boy” Trotter (David Jason) and his long suffering brother Rodney (Nicholas Lyndhurst), seven series of the sitcom were made, the last being shown in 1991. This was then followed with several Christmas special episodes, with the last of those airing in 2003. The show and it’s characters have become somewhat of a British institution, and even if you’ve never watched the show in your life you are sure to recognise the names of Trotters Independent Trading Del Boy and “plonker” Rodney, and if you ever happen to see one of those three wheeler Reliant Robin cars you’ll no doubt first think of Only Fools And Horses. When the show first aired Del Boy and Rodney shared their flat in Nelson Mandela House with their Grandad (Lennard Pearce), a bit of an old moaner who used to sit glued to his armchair watching TV most of the time. He came out with some great one liners though. When Lennard Pearce died the next series wanted to keep the generation gap comedy, so Grandad’s brother, Uncle Albert (Buster Merryfield) came to stay with the Trotter boys. He had been in the merchant Navy, and often bored everyone who would listen with some story from “in the war”. I’m pretty sure that the first superhero character I had ever heard of when I was growing up had to be Superman, purely because of the very successful films starring the late Christopher Reeve rather than the comic books. If he was the first though, then the second one would most likely have been The Incredible Hulk, though again not through comics, but rather through the television series. 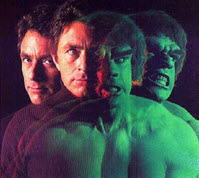 In the television adaptation, Dr David Banner (played by Bill Bixby) was a medical researcher who became irradiated with gamma rays during an experiment that went wrong. From that day, whenever he got angry, David Banner would transform into his monstrous alter ego, a big green brute of a man who becomes dubbed The Incredible Hulk (played in the series by Lou Ferrigno, a former Mr. Universe bodybuilder). The highlight of each episode would be watching the transformation from man to monster, which saw Bill Bixby start to writhe and sweat, followed by clips showing his body increasing in size and starting to rip his clothes to shreds. His skin colour would start to go that famous shade of green, and finally, once fully transformed, Lou Ferrigno would grimace at the camera and show off his impressive phsyique. For some reason all the sequences that then followed of the Hulk smashing and crashing his way through things seemed to be in slow motion. Presumably this was to try and give more of an impressive feeling to the strength of the Hulk, and to hide how easy it would have been for Ferrigno to pick up and hurl a polystyrene boulder. TV programmes about wildlife have that unique ability to capture the imagination of just about anyone of any age. How many times have you flicked idly through the TV channels and then found yourself hooked, if only for ten minutes, on a documentary about migrating wildebeest? If you are of a certain age, then you will remember that the BBC had a long running kids show about wildlife called Animal Magic, hosted by the inimitable Johnny Morris and Terry Nutkins. 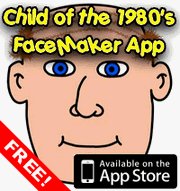 That show sadly came to an end in 1983 when the BBC thought it was no longer relevant to kids, but it took them three years to come up with a suitable animal related replacement programme. 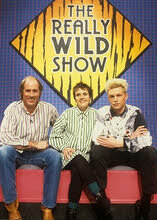 In 1986 the first series of The Really Wild Show was launched. Featuring Animal Magic’s Terry Nutkins, Chris Packham (now a fairly key part of the BBC’s Natural History unit, although sadly now minus the amazing spikey hair do) and Nicola Davies as presenters, it has to be said that the wait was probably worth it, as the new show certainly felt a lot more modern and in tune with what kids now expected to see on TV. The Really Wild Show was filmed in a studio, with an audience of kids visible on camera behind the presenters. Animals would be brought in and the presenters would first let you know a bit about the creatures in question, before, in most cases, letting some lucky members of the audience come and have a closer look. Who isn’t a big fan of the Muppets? From their beginnings on Sesame Street at the end of the sixties through the classic The Muppet Show and Fraggle Rock to the more recent movies, they’ve been keeping us laughing for ages! Today I want to concentrate on what I consider to be the Muppets at their best by talking about The Muppet Show. The Muppet Show ran for five years from 1976 to 1981 and clocked up 120 episodes in that time. During this time the regular characters such as Kermit the Frog, the karate chopping Miss Piggy and the struggling comedian Fozzie Bear became household names, and are still well known today despite not being on TV regularly any more. 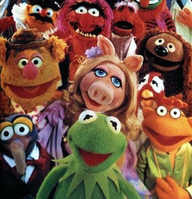 The show was conceived by Muppet’s creator Jim Henson, who was beginning to feel typecast for his work on Sesame Street and wanted to do something to appeal to all the family. He came up with the idea of the Muppets putting on a variety show from a theatre, a form of entertainment that was still popular back in the Seventies but which has become much rarer these days on television. The format worked brilliantly, with comedy sketches and songs featuring a wide array of Muppet characters and also that weeks guest star. The Muppet Show became the one programme that real life stars wanted to be on, much like The Simpsons has been in more recent years. You know how sometimes you can remember you really loved something from your childhood, yet for some reason you just can’t actually remember much of the detail about it? A good example of this for me is Tales of the Gold Monkey. I can remember the title of the show and theme song as if it were yesterday. 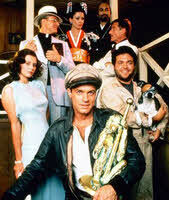 I remember the main character was an Indiana Jones type who flew one of those cool airplanes that can land on water. I remember a bar, which had a statue of a gold monkey on the bar surface (presumably where the title of the show came from) and I also remember there being a dog who wore an eye patch. Not really high on detail I know, yet I remember lying on the sofa glued to the television whenever it was on. I even remember that it was on on Monday nights! The show was created by Donald P. Belisario, who is probably better known for Airwolf and time travel series Quantum Leap. It was set in the 1930’s, around the same time period that Raiders of the Lost Ark was set, and since Gold Monkey arrived on our screens it was often seen as being a Raiders cash in.